Whether it happened a hundred years ago or today, the mission of the Geneva Historical Society is to tell the stories of Geneva and the surrounding region. A contemporary story has been the growth and development of the beer industry in the Finger Lakes. To celebrate the region’s breweries, the Historical Society is hosting the second annual Blues, Brews, and BBQ event on June 23. 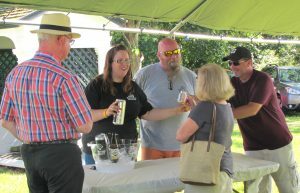 Held on the grounds of Rose Hill Mansion, people will enjoy food by Redman’s Chicken and Ribs and the music of Steve Grills and the Roadmasters, while sampling a variety of local beers. During the event, the first floor of the mansion will be open for self-guided tours. 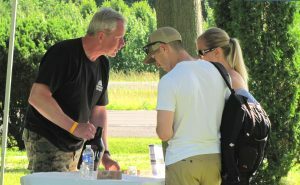 Event sponsors are Arbonne, Bank of the Finger Lakes, CenterBridge Planning Group, Coldwell Banker Finger Lakes, Friendly Ford, Geneva Club Beverage and Lake City Hobby. Pre-sale tickets are $35 per person and $25 for designated drivers (day of the event tickets are $40 for per person and $30 for designated drivers). The price includes admission, entertainment, food, and beer tasting. Designated drivers will receive complimentary water and soda. Purchase tickets at the Geneva Historical Society or on www.brownpapertickets.com. The event is for adults 21 years old and over, and IDs will be checked at the gate. Outside food and beverages will not be allowed on the grounds. People are welcome to bring lawn chairs and blankets to sit on. Proceeds from the event will benefit the Geneva Historical Society. For more information, visit www.genevahistoricalsociety.com or call 315-789-5151.